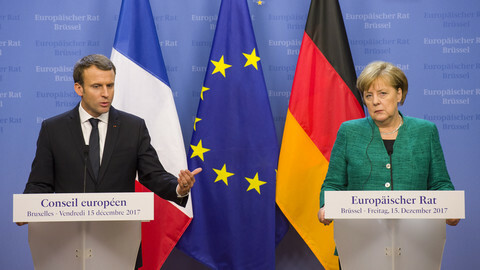 France and Germany have pledged to forge a joint position on euro reform by June, despite German reluctance on deeper monetary union. 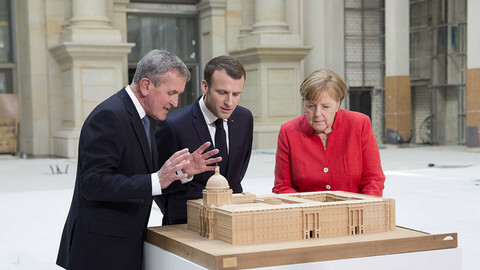 The French and German leaders made the pledge during French president Emmanuel Macron's visit to Berlin on Thursday (19 April). 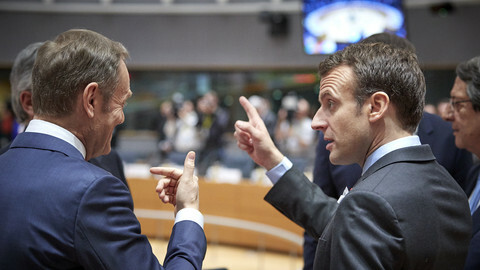 Macron had earlier embraced European Commission ideas on creating a joint deposit guarantee scheme, an EU bailout fund, and a eurozone budget and finance ministry. The reforms were meant to show that the EU can live without the UK and to prevent a repeat of the 2008 financial crisis, but Germany has proved reluctant to use its money to underwrite the proposals. "No currency union can survive if there aren't instruments for convergence," the French leader said on Thursday. He called for financial "solidarity" and couched the need for reform in grandiose terms. 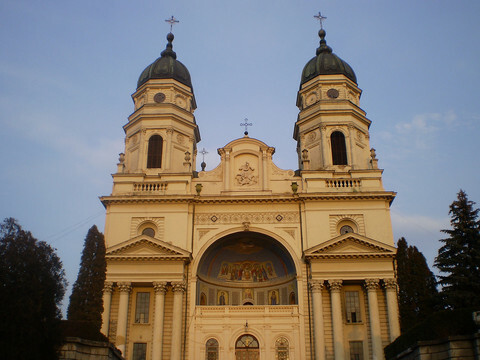 "We live in a moment of the European adventure that is truly unique. 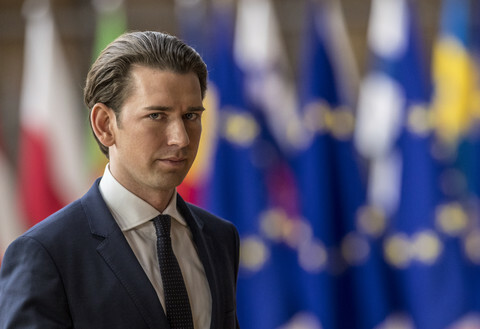 Also within our states there are serious doubts [about the EU] and strong nationalistic visions … this is a moment that is decisive for the future of Europe," he said. He invoked past French and German leaders - Charles de Gaulle and Konrad Adenauer, Francois Mitterrand and Helmut Kohl - as models for a new Franco-German EU partnership. "In the past we had predecessors who had the strength to resist bad tendencies and even counter them. This is something expected from us," Macron said. Merkel was less effusive despite her pledge to forge a joint position with France in time for a June summit of EU leaders in Brussels. 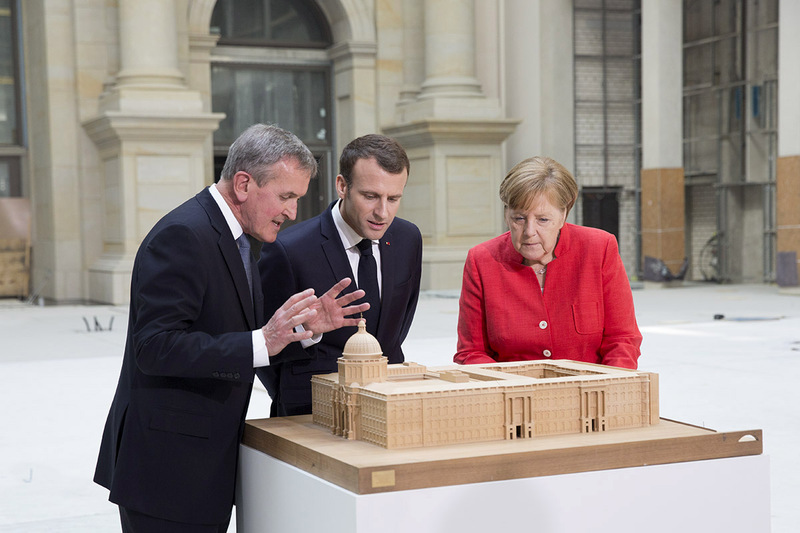 "There are always different starting points when it comes to the opinions of Germany and France. We need open debates and we need the ability to compromise," she said. Merkel said the euro "isn't yet crisis resistant" and that Germany wanted stricter regulation of eurozone banks, but she said the joint deposit guarantee scheme would have to wait until "the more distant future". "We want to make sure that liability and risks go together. We agree that solidarity is needed but that competitiveness is also necessary," the chancellor said. Markus Blume, the head of the CSU party in Merkel's centre-right CDU/CSU bloc, voiced similar scepticism. 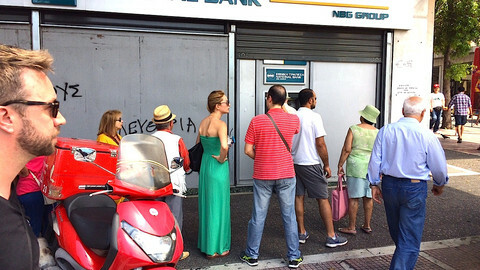 "A new beginning for Europe cannot just mean new money. Europe must become more efficient and better, not more expensive," he told German press on the day of Macron's visit. "Macron speaks of more Europe but he also thinks of France first," Blume said. 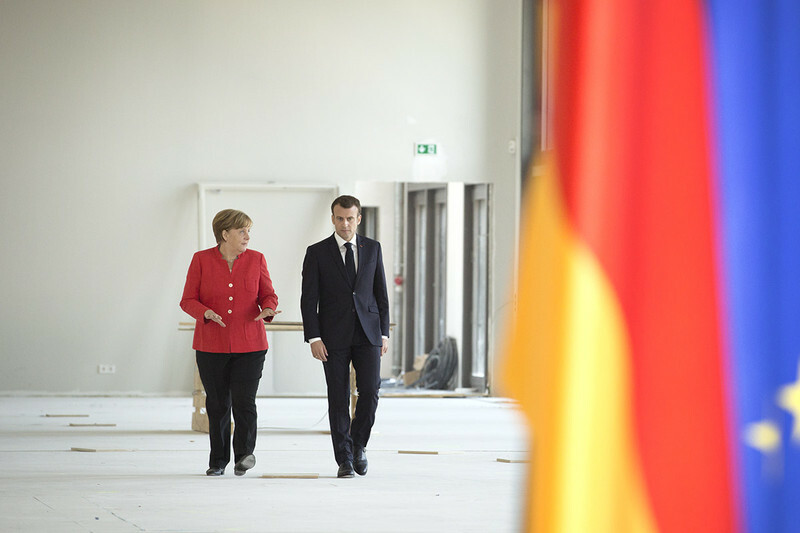 The Macron-Merkel meeting came shortly before they go to Washington next week to try to persuade US president Donald Trump not to impose protectionist tariffs on EU exports. The two EU leaders showed a more united front on trade. "We will argue for a return to the norm and for the justification of exemptions for the EU," Macron said on Thursday. "We both believe in respecting the multilateral framework that the trade organisations represent and that the European Commission represents," he added, referring to World Trade Organisation rules. Merkel said she would "introduce the European perspective" to Trump. "Above all, it will be about making clear that the transatlantic partnership is important to us, even when there are differences of opinion," she said. The EU-US partnership was a "great treasure, that I would like to nourish and cherish," she added, amid concerns that the US tariffs could ignite a trade war. 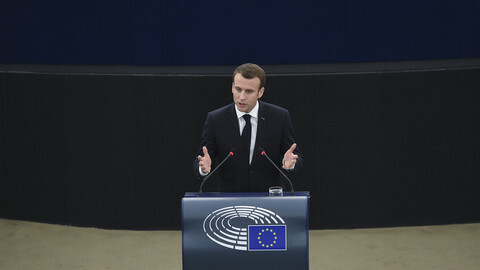 The French president tried to woo the European Parliament but found that his quest for leadership will have to abide by the rules set by the European political groups. Two models - of deeper integration and liberal values, versus a Europe of strong and illiberal nations - will define voters' choices in the EU elections in 2019. 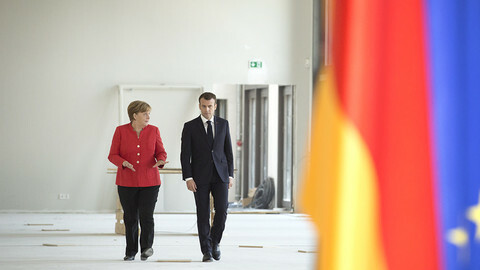 Germany has backed the idea of an EU bailout fund, but ruled out "debt union", in a minimalist version of French plans.